The Amperis PRPD15 Partial Discharge Analyzer is the most compact and rugged portable partial discharge analysis device on the market. The DRPD-15 has fifteen independent and highly sensitive user configurable input channels, delivering the industry's best signal-to-noise. This analyzer has the ability to store test results from multiple objects for later analysis, without the need for gain adjustments. The great advantage is that with the portable partial discharge analyzer of Amperis DRPD-15 a different analyzer is not necessary for each application, since it is designed to connect to a permanent installation in equipment such as motors, generators, switchgear, etc. It has 15 channels with simultaneous data collection. Designed with a robust, lightweight box and can be used in harsh environments. The design of the analyzer allows its independent operation or connected to a computer. The analyzer has noise cancellation. 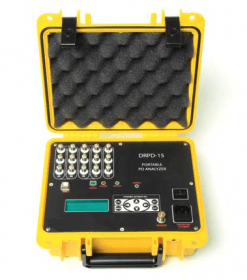 The DRPD-15 can analyze all types of electrical equipment: motors, generators, transformers, cables and switches. It includes software that allows configuration, loading of stored data and analysis. The DRPD-15 is designed to be compatible with existing PD sensors of any brand. The equipment is supplied with a versatile software that supports continuous and portable insulation monitoring systems that can be found in generators, motors, switches, cables, bus ducts and transformers. The software allows the user to configure the instrumentation, as well as download and store the data, providing tools for the presentation and analysis of data. 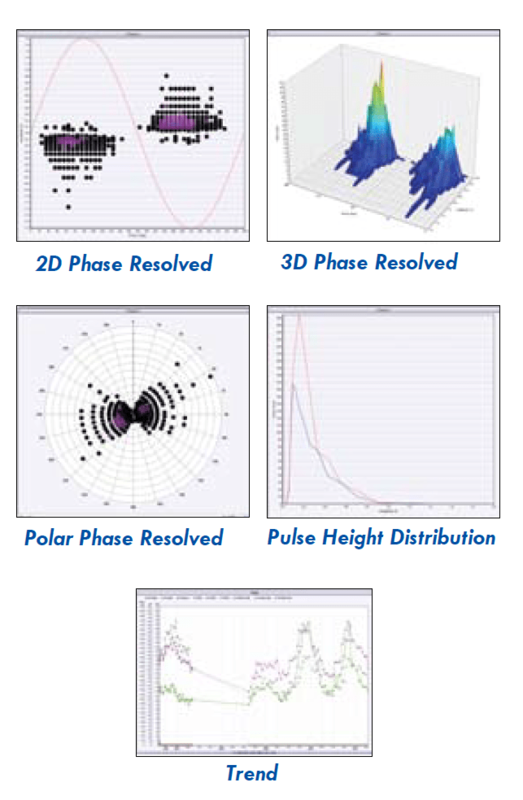 In addition, the results of the tests can be presented in all formats accepted in the industry: Phase 2D or 3D resolved, polar phase resolved, pulse height distribution or trend. The Athena software allows the trend of all standard quantities of magnitudes, pulse counts, PD intensity and operational dynamics. Multiple channels can be presented on the same screen for easy comparison and analysis. Do you want to buy high quality Partial discharge detector equipment? Inquire for our Partial discharge detector equipment prices.